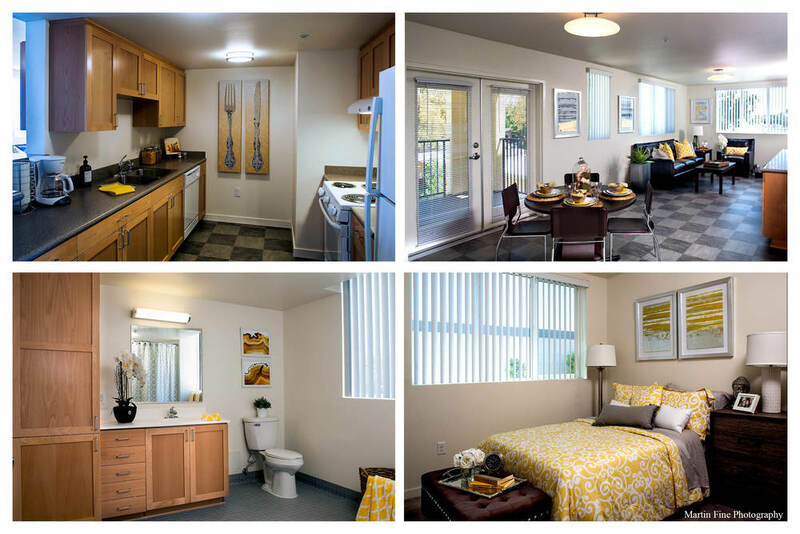 With an aim to help break the cycle of homelessness, the Century Villages at Cabrillo campus is a 27-acre former military base that currently provides housing for homeless veterans and families as well as extensive on-site supportive services. The project site, located adjacent to the campus entry, was a source of visual blight, having been occupied by a condemned and fenced-off former military residential building. 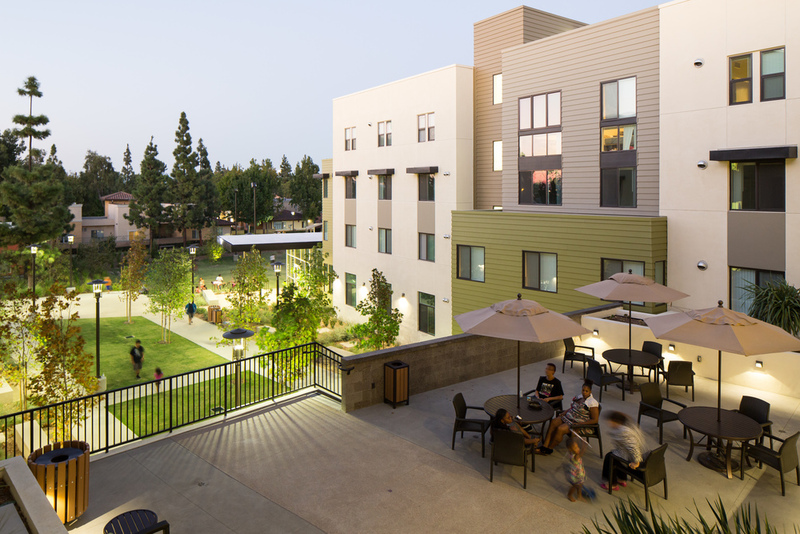 Cabrillo Gateway creates a new entrance to the campus that accommodates public transit, vehicular and pedestrian access, while adding an additional 81 units of supportive housing for formerly homeless veterans and families, including a health clinic and a social services center. In addition to creating a new entrance, the project establishes a prominent edge condition for the campus, presents a welcoming public face to the adjacent neighborhood, establishes an east-west pedestrian axis, extends an existing north-south pedestrian axis, and provides much-needed exterior gathering spaces. The building massing is divided into three wings, creating three courtyards that provide intimate outdoor spaces that open onto the Grand Lawn, used for large gatherings. 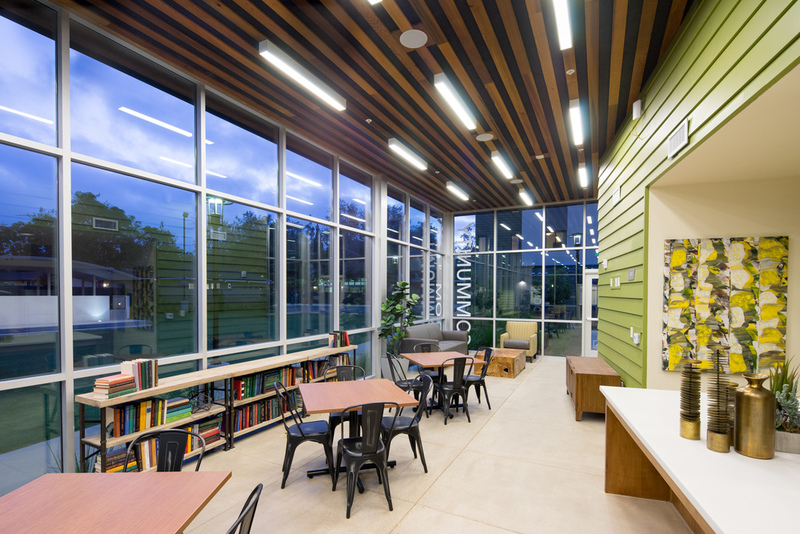 Services are located on the ground floor and accentuated through storefront glazing to activate the pedestrian experience. 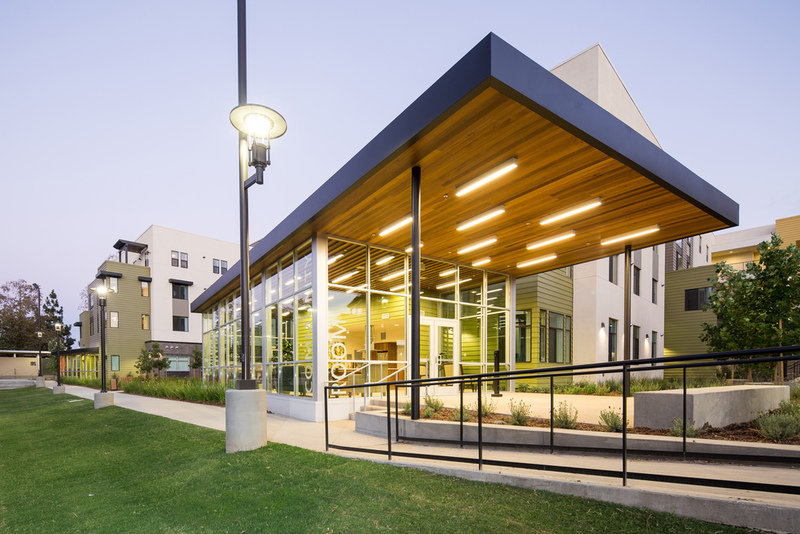 A prominent clock tower and plaza mark the terminus of the north-south axis, while a variety of paths and gathering spaces promote community through chance interactions among neighbors.